Farmerama is a community-sourced award-winning radio show and monthly podcast dedicated to actively sharing the underrepresented voices of smaller-scale farmers in the UK and beyond. Farms, events and sheds in rural areas are being turned into radio studios – bringing new perspectives to farming as communities share the things they know and are learning about, and learn about making radio and storytelling in the process. Committed to positive ecological futures for the earth and its people – and produced by farmers for their brethren – Farmerama podcasts focus on food, but also our health, flooding, animals, carbon storage, biodiversity, and more. The aim is to encourage local practices to help build sustainable livelihoods and farmers to unlearn unhealthy mindsets, and get experimental, so agricultural production rises. You dig? Farmerama was set up by soil obsessed physicist-farmer Abby Rose, who has since been selected by The Observer newspaper and Nesta as one of 2018’s New Radicals. 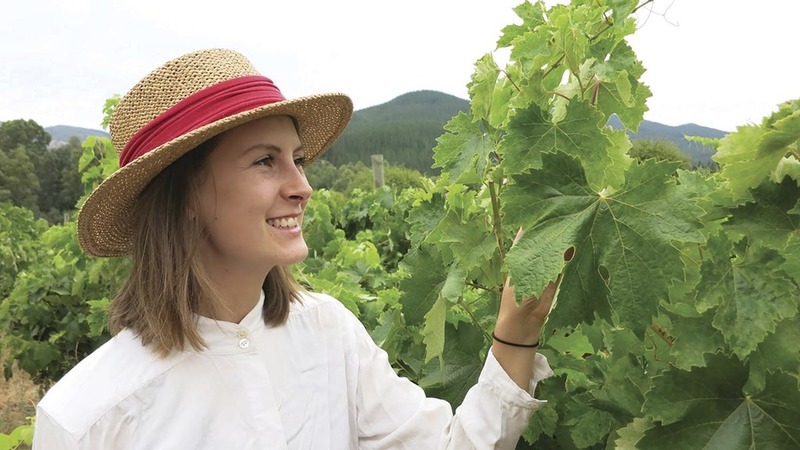 It was after working on her family’s farm straight from university that she noticed how many of the day-to-day decisions on a farm actually affect us all more than we realise. “A farmer decides to plant a stand of trees, and that can help prevent flooding in a nearby town,” she tells us. “Or a farmer decides to graze their animals differently which helps build soil health and reduce runoff into nearby streams, or even helps sequester carbon.” As a strong believer in business being a force for social good, it dawned on Abby that farmers are some of the key decision makers in terms of how humanity interacts with the natural world. Today Abby helps to run her family’s farm in Chile. Vidacycle produces natural wine and verjuice, and has a strong focus on building soil health on the land, using mob grazing of sheep and encouraging native trees and forests. So far legendary Farmerama guests include: restaurateur-activist Alice Waters, self-professed “Christian libertarian environmentalist capitalist lunatic farmer” Joel Salatin (also known as the most famous farmer in the world), soils and carbon ecologist Dr Christine Jones, American farmer and author and educator Elliot Coleman, and sustainable ranching leader Greg Judy. In this special urban episode farmer-activist Leah Penniman, co-founder of Soul Fire Farm in New York, talks about being committed to ending racism and injustice in our food system. Despite these namechecks, at Farmerama the focus is specifically on sharing the voices of the people at the grassroots, involved in the nitty gritty of what it means to farm more ecologically. Abby believes that “innovative technology, the media and community engagement can improve wellbeing worldwide.” Certain that farmer-led tech is an important part of a resilient future, she develops and codes simple technologies that support the community to thrive. Vidacycle’s apps Sectormentor and Workmentor help smaller scale farmers build ecology, profitability and beauty on farms around the world. Farming is essentially the root of everything we do as humankind. As the radical voice of small farmers, Abby urges you to listen to Farmerama to learn about the stories of the farmers behind the food system and what it means to farm regeneratively. 🎫 AtlasEvent ► Meet soil obsessed physicist-farmer Abby at Fixing the future 2019 in Barcelona. Tags: Agriculture, Animals, Awareness raising, Bees, Biodiversity, Business, Carbon, Climate, Climate change, Communication, Community, Conservation, Culture, Education, Entrepreneur, Environment, Fair trade, Farming, Food, Global warming, Health, Hunger, Income, Information, London, Media, Mentoring, Nature, Open source, Plants, Platform, Reforestation, Storytelling, Transparency, Trees.